Absent other sources, I usually trust the 1900 Census as being the most accurate for the date because it provides both a month/year and age for the individual. In the case of Frank Xaver Drexl the 1900 Census record shows his birth as Dec 1857 and his age as 42. A very close look at his age suggests that it once said his age was 43 and was “corrected” to read 42. I set his birth year as 1857 based upon this record. However, all the other census records I found were inconsistent with that date. In the 1910 Census he was 53; in the 1920 Census, he was reported as 63. Even the 1885 Census suggested the birth year of 1856. After finding every other record I could find for him indicated his birth in 1856, I decided to change my records to indicate an 1856 birth. Reminder to self: Don’t become so attached to a bit of information and be unwilling to change something when presented with alternate evidence. Frank Xaver Drexl was probably born on 3 December 1856 in Dünzelbach, a municipality in the district of Moorenweis in the Bavarian county of Fürstenfeldbruck. [ii] The 1910 and 1920 Census records both confirm his birth in Bavaria in 1856. Some researchers indicate that Frank Xaver Drexl married Ursula Eggert on 25 Oct 1881 in Petzenhausen, Bavaria. I think an 1879 or 1880 marriage is just as likely. Their eldest known son, Nicholas Edward Drexl was born in November 1881 only a month after the other researcher’s suggested date. Also, the 1900 and 1910 Census records indicate the couple had been married for 20 and 30 years respectively suggesting an 1879 or 1880 marriage date. The 1900 Census shows the heartbreak the family had to have experienced. According to the Census, Ursula had had 12 children, only 8 of whom were still living and the 1910 Census indicated 13 children with nine still living. * The age gap between Christina and Francis suggests that one of the missing children was probably born about 1884 about the time of their immigration to the United States. Another gap between Charles and Anthony suggests that another of the missing children was probably born about 1896. The other two would be pure speculation as to possible birth dates. ** The 1900 Census indicates that Nicholas was born in 1881, however, the 1895 Minnesota Census indicates that Nicholas was likely born in 1880. If so that would put the cap between him and Christina 1 year 5 months. The 1895 Census indicates Frank with Ursula and five children living at 258 Custer Street in Saint Paul’s 6th District, Ramsey County, Minnesota. [vii] This location appears to have been renamed because there is no longer a Custer Street in Saint Paul. However, Frank was working as a Cabinetmaker at De Coster & Clark which was at 375-379 Jackson Street, Saint Paul. 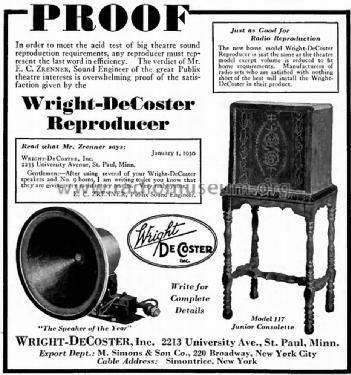 Frank worked for them, and Wright De Coster until at least 1926 and probably until his death. By 1910 the family had located to 46 East Robie. [ix] Again, that location appears to be gone. It is probably now a baseball field that is part of El Rio Vista Recreational Center. 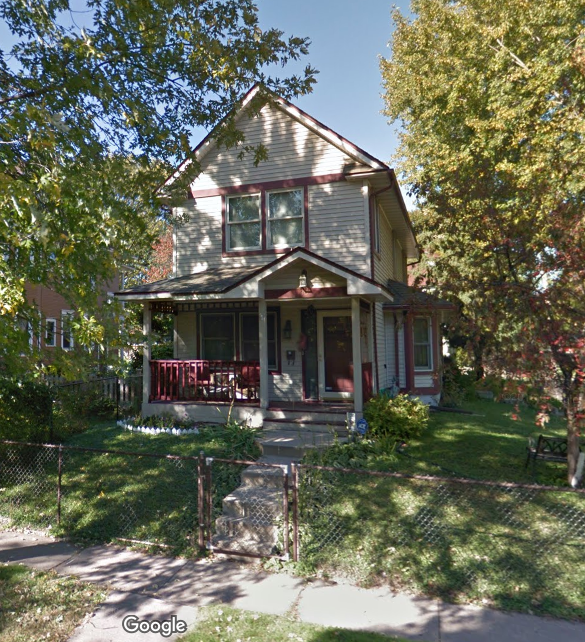 By 1920, Frank had purchased a house at 35 West Isabel, Saint Paul. [x] Both Realtor and Zillow dot com indicate the house at 35 West Isabel was built in 2001. However, it appears to be a house much earlier than that. The 1910s seems quite possible based on the architecture. Frank Xaver Drexl died on 04 Nov 1929 in Saint Paul, Ramsey County, Minnesota. I have not been successful in finding a burial location for him. Find Frank Xaver Drexl’s immigration record. Find Frank Xaver Drexl’s Naturalization record. Research Frank Xaver Drexl’s death records. [i] Based entirely upon other individual’s public trees. See: Ancestry Family Trees, Ancestry.com, M A Heintz Family Tree – Owner: mavendegna. https://www.ancestry.com/family-tree/person/tree/30918613/person/430043963958/facts. [iii] 1900 Census (FS), Family Search, Frank Drexl – Saint Paul, Ramsey, Minnesota – Sheet 8. Accessed: 26 July 2016. https://familysearch.org/ark:/61903/1:1:M93F-NM2. [v] Minnesota State Census, 1895, Family Search, Drexl, Frank – St. Paul, Ramsey, Minnesota. Accessed: 27 July 2016. [vi] Minnesota Death Index, 1908­-2002, Family Search, Frank K. Drexl – 4 Nov 1929. Accessed 18 May 2017. https://familysearch.org/ark:/61903/1:1:V4H-V­45. [vii] Minnesota State Census, 1895, Family Search, Drexl, Frank – St. Paul, Ramsey, Minnesota. Accessed: 27 July 2016. [viii] 1900 Census (FS), Family Search, Frank Drexl – Saint Paul, Ramsey, Minnesota – Sheet 8. Accessed: 26 July 2016. https://familysearch.org/ark:/61903/1:1:M93F-NM2. [ix] 1910 Census (FS) (NARA), Family Search, Frank Drexl – St Paul Ward 6, Ramsey, Minnesota, ED 84, Sheet 2B, Line 70. Accessed 18 May 2017. https://familysearch.org/ark:/61903/1:1:M2PC-18Z. [x] 1920 Census (FS), Frank Drexel (Drexl) – Saint Paul, Ramsey, Minnesota. Accessed 18 May 2017. https://familysearch.org/ark:/61903/1:1:MW19-J77. A Genealogist’s Nightmare or a Census Taker’s Confusion? Four Mary Stoeger’s in the 1900 Census. It was hard for me to tell if I was looking at an ‘80s sitcom or if the 1900 Census was true. I kept thinking, “Hi, I’m John Stoeger, and this is my wife Mary, and this is my daughter Mary, and this is my other daughter, Mary. Oh, by the way, this is my other daughter, Mary. Yes, the 1900 Census shows that John’s wife and three of his daughters are all named “Mary.” Either the census taker got it all mixed up or there are several stories to uncover suggested by this census record. I needed to figure out which. John Stoeger is my wife’s half-aunt’s grandfather. Not a direct ancestor to my wife, but still a person of interest. I wanted to see if I John really had three daughters named Mary. Other records indicate that John’s children immigrated about 1885, so they aren’t going to be in the 1880 Census (and they weren’t). The Minnesota 1895 census does show John, but that census shows no information about his children. I couldn’t find in him the 1910 Census so, I thought that I might be at a wall of some sort. Then I found him, Johann Stoeger in a 1908 wills and probate records on Ancestry. Sure enough, this Johan had a daughter Hattie Drexel (Hedwig Drexl) and the ages of the other children all fit my 1900 John Stoeger family. The first “Mary” was Barbara. The second “Mary” was Marie. The third “Mary” is still unknown but appears to have died between 1900 and 1908. That is because in 1900 Mary, the mother, had eleven children, six of whom were living. The 1908 probate records show five of the six children living. I was a little but surprised to see that John (Johann) and three of his children had all moved to Stillwater. So, I wondered if I had the wrong John Stoeger; however, I became certain that It was the right John Stoeger when I saw that the estate included property on Water Street in Saint Paul, where he lived during the 1900 Census and one of his daughters was Hattie Drexl. Everything fit into place. Finally, that third Mary child, I suspect was actually John Stoeger, Jr. I haven’t proven it to my satisfaction, yet, but I’m pretty sure I am right. I need to do a little more research on John Jr. to prove it. I think the Census taker was a bit confused. 1900 Census (A), John Hoeger [Stoeger] – Saint Paul, Ramsey, Minnesota, Ward 6, ED 0105, Page 15B. Author Don TaylorPosted on April 12, 2017 April 9, 2017 Categories DrexlTags Hattie Stoeger, Hedwif Stoeger, Johan Stoeger, John Stoeger, Minnesota, Saint Paul, StillwaterLeave a comment on A Genealogist’s Nightmare or a Census Taker’s Confusion? In May, I was visiting family in Michigan and had the opportunity to get to know my wife’s aunt much better. While I was there, we chatted about genealogy (surprise, surprise) and I learned she didn’t know much about her maternal grand-grandfather, Nicholas Edward Drexl. (She and my wife’s mother share a common father but different mothers.) My wife’s aunt knew her grandfather was born in Germany, lived in Saint Paul, MN and Saint Louis, MO, and died before she was born. While I was there, I helped her learn a few more things, thanks to the Ancestry App, but, I knew I really wanted to help her learn a lot more. I’ve searched, and searched, and searched to no avail. So, those questions are still out there and I’m sure I’ll find the answer someplace, but it will just have to wait until I have more time. I did learn a lot about Nick Drexl’s life though. Nicholas E. Drexl was born in Germany on 29 November 1880 to Frank Xaver and Ursula (Eggert) Drexl. He is the oldest of the known children of Frank and Ursula. However, it is possible that he had one older sibling. The 1900 Census provides clues to many facts. First of all, it identifies that Ursula had had 12 children, 8 of whom were living. It also indicates that they had been married for 20 years. If that is the case his parents were married between June 1879 and June 1, 1880. That would have left a 17 to 29-month gap between his parent’s marriage and his birth; enough time for there to have been an older sibling who died as a child. Looking at the children of Ursula, there were two large gaps where children could have been born and could have died before the 1900 census was enumerated. 52 Months – One certainly, two likely. * Minnesota Census of 1895 indicates Charles was six months old, (born Nov 1894) however, the 1900 Census indicates Charles was born in Nov 1895. In 1900, his father was a cabinet maker and his mother was a jeweler. It was probably during his childhood that he learned jewelry making from his mother, because he would be a jeweler during the rest of his life. On 17 May 1904, Nick married Hedwig Frances Stoeger, who was also a German immigrant. Hattie, as she was known, had immigrated with her parents in 1885. They were married by Rev. Peter Schuririer, a Roman Catholic priest. The marriage was witnessed by George Bleckhinger and Frances Drexl (probably Nick’s sister Francis). Their first child, Clarence T. was born eight and a half months later, on 31 January 1905. Raymond F was born on 15 May, 1908. The 1910 Census shows the young family living at 595 Stryker Ave., Saint Paul, Ramsey County, Minnesota. Living with Nick and Hattie is a 17-year-old niece of Nick’s. Her name was Marie T Markert. I haven’t determined exactly how she is related yet. Further research needs to be done on Nick and Hattie’s siblings to determine.Their daughter, Mary (possibly Marie), was probably born in 1917. Sometime before 1918, the family moved to 604 Winslow Ave., Saint Paul. While there, Nick worked as a jeweler at E. Schmalz & Sons, 87 E. 6th St., Saint Paul. His draft registration card indicates that he was tall, medium build, gray eyes, and light hair. 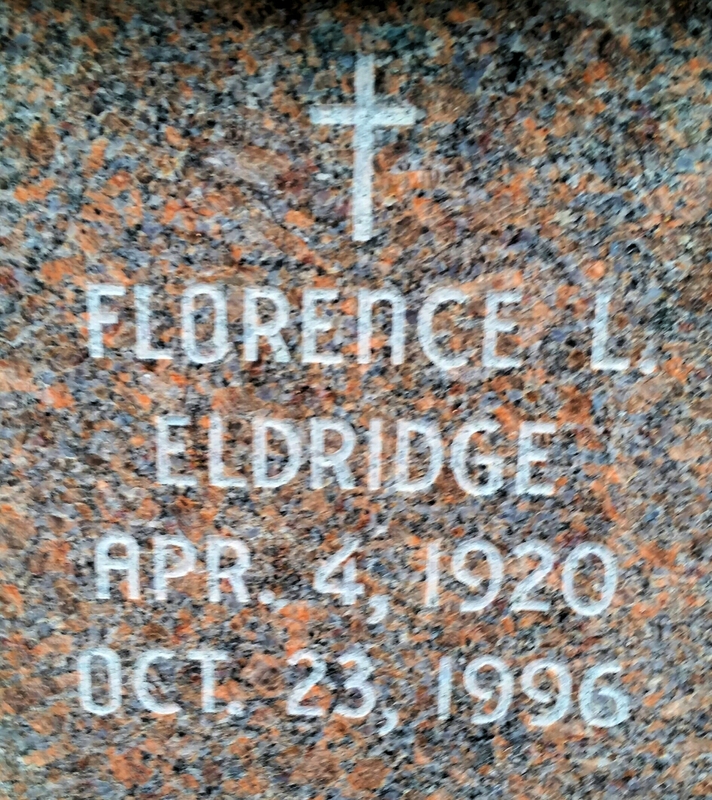 In April, 1920, another daughter, Florence, was born. The 1920 census-taker found the family still living at 604 Winslow Ave and Nick still working as a jeweler. In 1926, the family moved to Saint Louis, Missouri. The 1930 Census finds the Drexl family living at 2425 Coleman Street, Saint Louis. Living with Nick and Hattie is their son Clarence, Clarence’s wife (Ruth), and Clarence’s son, Donald. Also in the household is thirteen-year-old Marie and ten-year-old Florence. Nicholas Edward Drexl died on 13 October 1939. He was buried on 17 October at Section 25, Lot 2212 in Calvary Cemetery and Mausoleum, Saint Louis, MO. Determine Immigration and Naturalization facts for Nick & family. Search for records regarding unknown siblings of Nick. Research the siblings of Nick and Hattie and determine the relationship of Marie T Markert who is a niece of Nick. If you are related to Nicholas Edward Drexl, or anyone else in this Drexl line, my wife’s aunt and I would love to hear from you. Please contact us using the contact form below. Ancestry.com; U.S., World War I Draft Registration Cards, 1917-1918; Nick Edward Drexel (Drexl). The 1900 Census indicates 1884; the 1910 Census indicates 1888; the 1920 census indicates 1886.